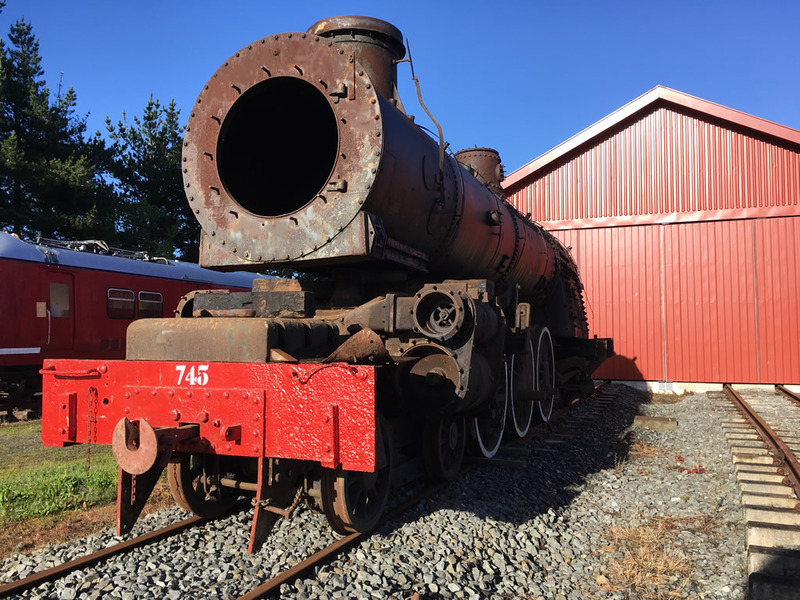 After months of planning and fundraising, a replacement boiler has been secured for steam locomotive Ab 745. 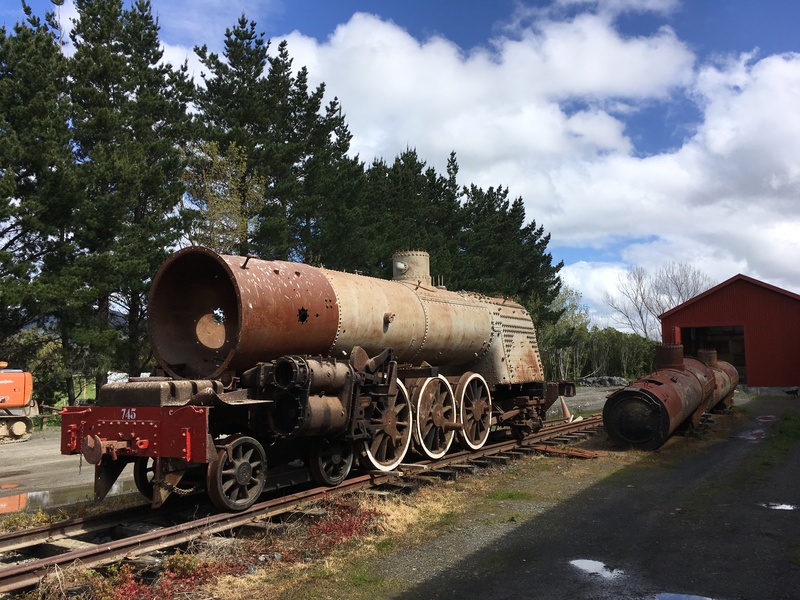 It was originally secured by the New Zealand Railway and Locomotive Society (NZRLS) as a spare boiler for Ab 608 or Wab 794, purchased surplus to requirements from a market garden in Canterbury. 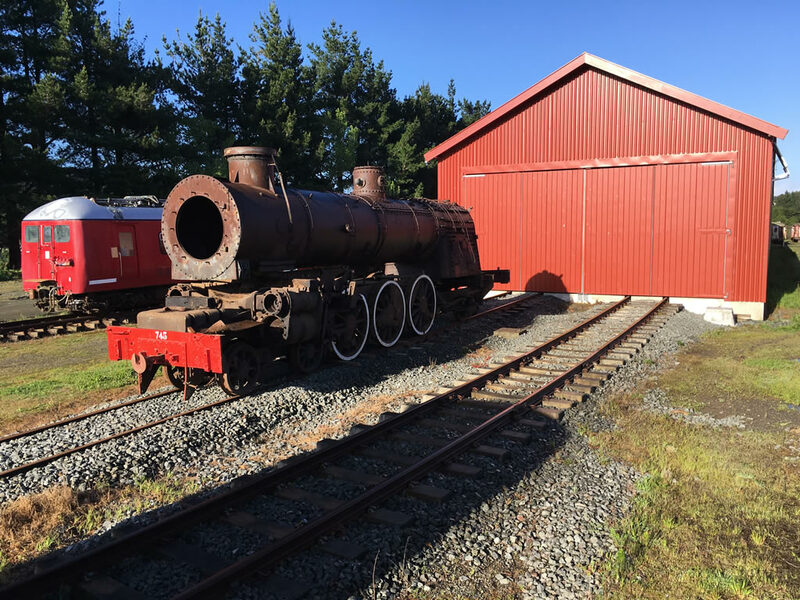 The Trust purchased the boiler from NZRLS as-is-where is at Feilding earlier in 2017. 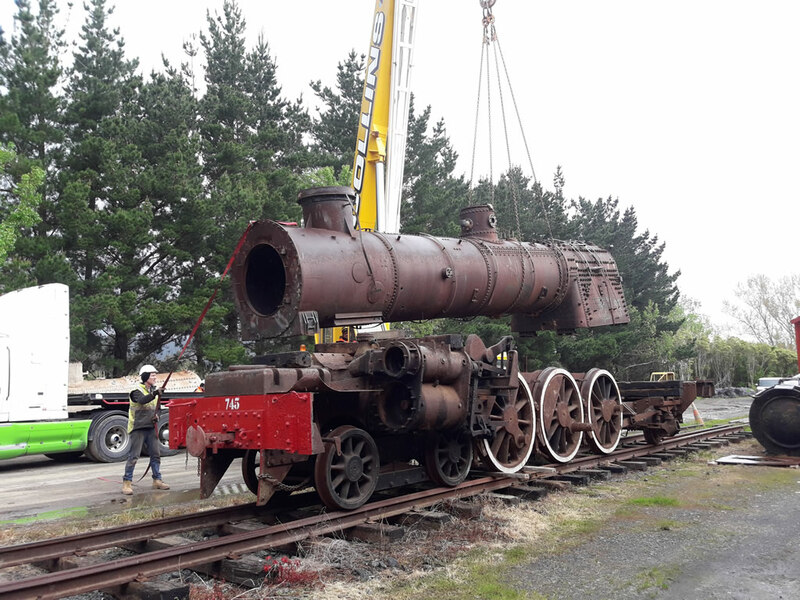 During the second week of October the boiler was transported from Feilding to Maymorn, and swapped onto the engine frame of Ab 745 on Friday 13 October. 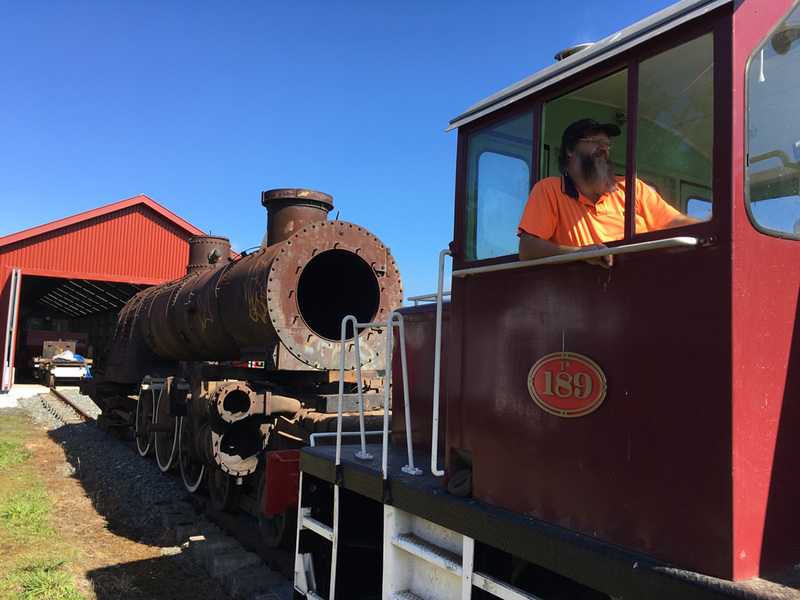 Many thanks to Rimutaka Trust for funds to complete the purchase of the replacement boiler, and Community Trust of Wellington for funding the transport and initial conservation work. 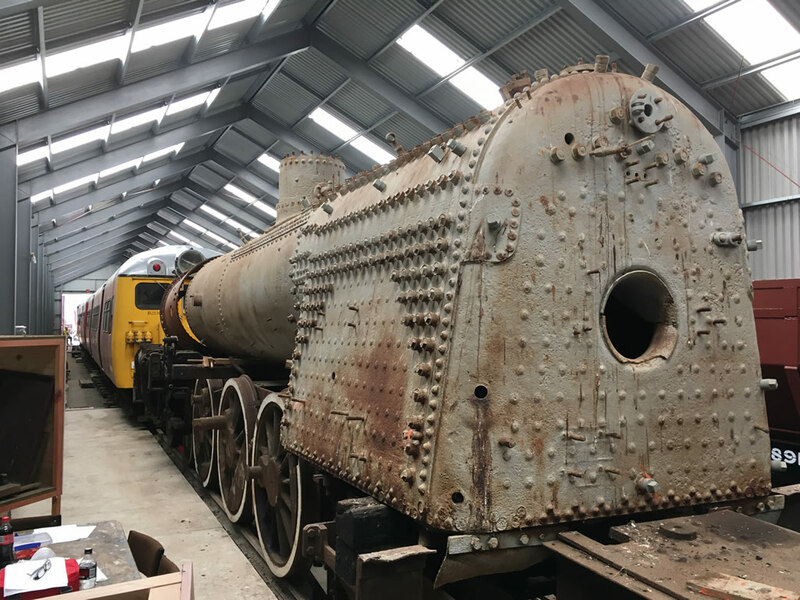 The original boiler of Ab 745 on the engine frame inside the rail vehicle shed on 1 October, shortly before it was shunted outside for the boiler swap. 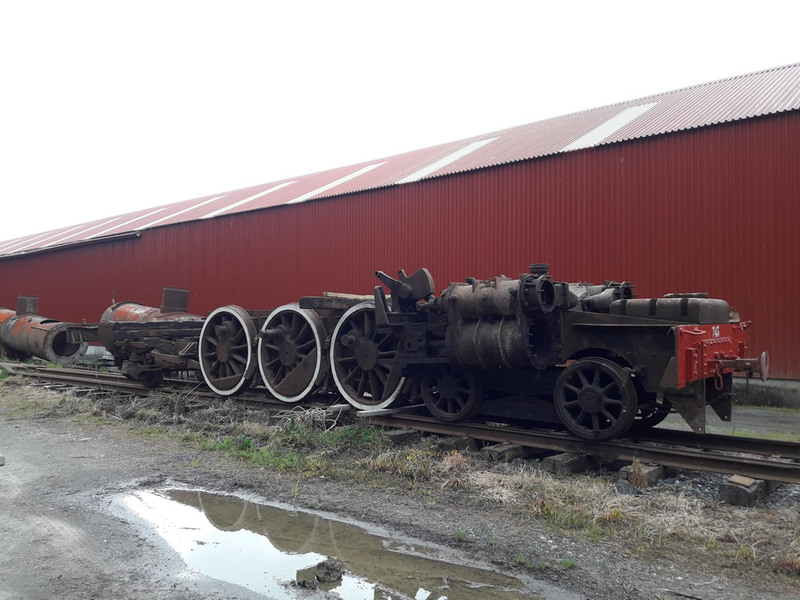 Ab 745 standing on road 4 outside the workshop, original boiler and smokebox ready to be lifted off, alongside the boilers from steam locomotives Wb 292 and Wb 299. 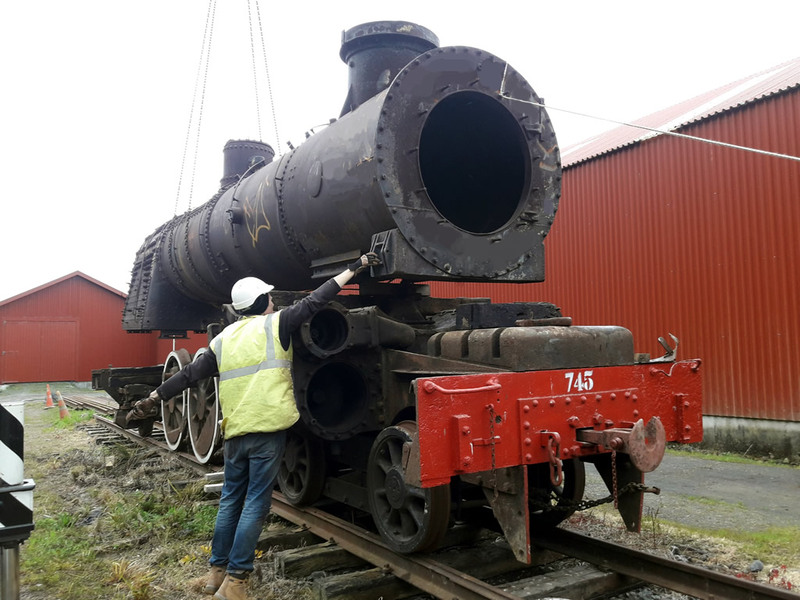 On Friday 13 October the original boiler and smokebox were lifted off the engine frame, ready for the replacement. 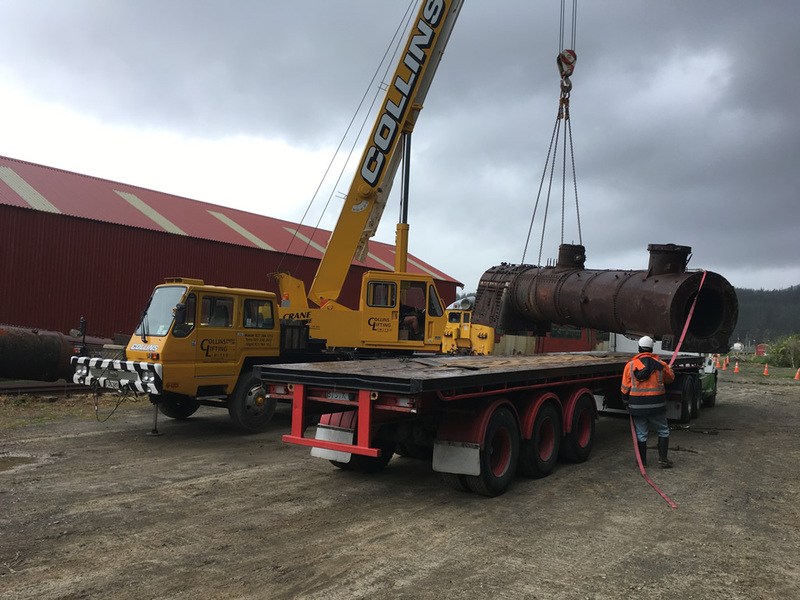 Collins crane unloading replacement boiler from STL Linehaul truck. 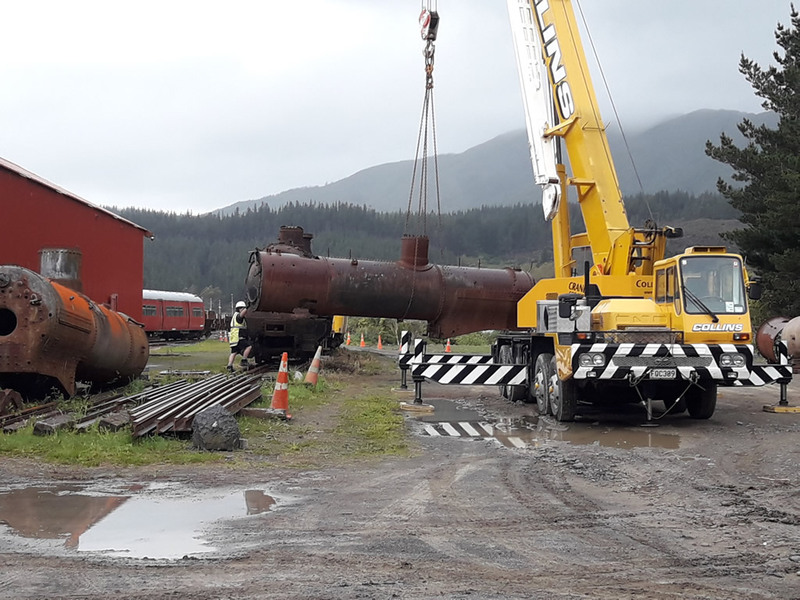 Opportunity was taken with the 30-tonne crane on site to relocate both Wb locomotive boilers clear of the shed and road 4 area, placing them alongside the original boiler of Ab 745. Photo: Iain Palmer. Ab 745 with replacement boiler on shed at Maymorn, early on Saturday 14 October. Ray Hampton driving Tr 189 during a shed shunt to place Ab 745 back inside on road 1.